This is the free online excavation calculator, intended to define and estimate the planned volume of the earthwork of the construction pit carried out for the foundation of a house or another building, French drain of a villa, trench needed to establish the sewage system of a house, swimming pool, reservoir, for water supply piping and other. 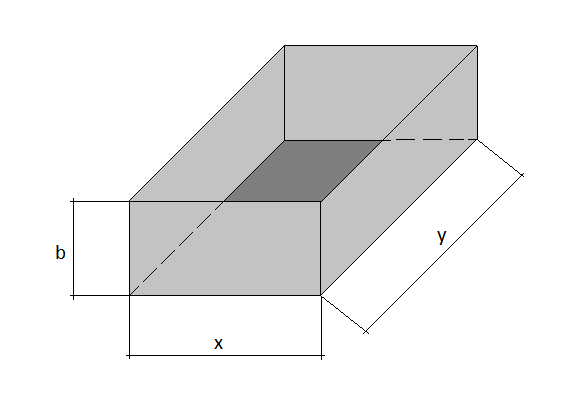 Y — Length of the pit. These parameters are to be entered in meters. Price per 1m³ of the soil removal. At the preparation stage, the most important is to evaluate correctly the amount of the worked out soil. The complete assessment includes the digging of the pit and transportation of the excavated earth. Transportation of the earth is an additional expenditure. To avoid any unexpected and undesirable expenses, all of them should be previously discussed and agreed with the contractor. other earthwork – It is highly recommended to plan in detail where to move the fertile soil layers, which can bring some benefits to the farmlands. The unproductive land can be used for the embankment of the foundation, planning of the garden or orchard, or it could be simply moved away. Therefore, the locations where the earth is to be moved to should be found and prepared in advanced. Any of the earthworks you can do by hand or by backhoe. Both approaches have certain advantages. If you prefer to dig a pit or a trench for drainage by hand you will certainly get more accurate work and the pit or trench will most likely have the sizes you planned. This approach is relevant when the volume of the soil is not large and there is available manpower. The biggest advantage of this method is reduced expenditures, as you do not pay for the rent of the excavator or a backhoe, or any other special machinery. In the process, you can easily control the geometry and parameters of the future trench of the basement. When the planned volume of the soil to be removed from the construction pit is much bigger, it is more reasonable to dig by the backhoe to save the time and increase the effectiveness. In any case, it is your choice. The results of the estimation are to be used for the preliminary planning purposes. If you plan to go deeper or there is loose ground in the area where you plan the basement, your primary task is to ensure the security. It is better to do the walls of the trench with some minor slopes to stop any possible soil slipping. This online trench excavation calculator will be of great help to you. Hurrah! After all I got a blog from where I can truly obtain helpful facts concerning my study aand knowledge.